My friends and I used to play lying games. Now my twin sister is living one. When I was alive, my family seemed picture-perfect. My adoptive parents adored me, and my little sister, Laurel, copied my every move. But now that my long-lost twin, Emma, has taken my place to solve my murder, we’re both learning just how flawed my family really is. Laurel is shooting Emma nasty looks and sneaking around with my ex-boyfriend. And it turns out my parents are keeping a huge secret—could it be the reason I’m dead? How far would they go to keep the truth buried? No one can harm me now, but Emma is still fair game. 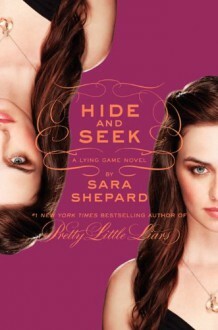 And if she’s not careful, she’ll end up buried, too. . . . From Sara Shepard, the #1 New York Times bestselling author of the Pretty Little Liars books, comes a riveting series about secrets, lies, and killer consequences.